In mid-June I released an English translation of the first part of an intriguing Japanese SF novella that I had discovered titled “Two of Six: A Captain’s Dilemma” (Japanese title: “６分の２”), written by Tomohito Moriyama (森山智仁). The story involves a system malfunction on a spaceship requiring evacuation of the humans aboard, but the escape pod only fits two. With the help of his humanoid navigator Elise––an advanced AI robot that looks almost human––the captain must decide who lives and who dies. Showcasing the author’s talents as an award-winning screenwriter (his day job), “Two of Six” revolves around witty dialogue and debate between the captain, Elise, and the passengers. While I originally considered releasing the entire story on my blog chapter by chapter, after some consideration and speaking with the author I decided to give this novella the full treatment and publish it in E-book form. I’m happy to report I’ve completed it and just released on Amazon. Yeti (of the site Shosetsu Ninja that has reviews of Japanese literature) was nice enough to offer to help do proofreading on this project, and besides catching some issues with the English itself he also did a translation check against the original text to really improve the quality of the end result. This was a really enjoyable project, not just because of the story itself but also because it was great working with both the author and Yeti. The author worked with me every step of the way, from helping to verify the meaning at a few points to writing a preface for the story at my request. I decided to release “Two of Six” in parallel Japanese/English format so those studying Japanese can use it as a learning tool. I’ve laid it out so that each Japanese paragraph is followed by its translation in English, allowing easy comparison without having to switch between two books at once. However, if you just want to enjoy the English-only version I have included that as well. I am also considering writing one or more articles on this blog where I give a detailed analysis of parts of the book. 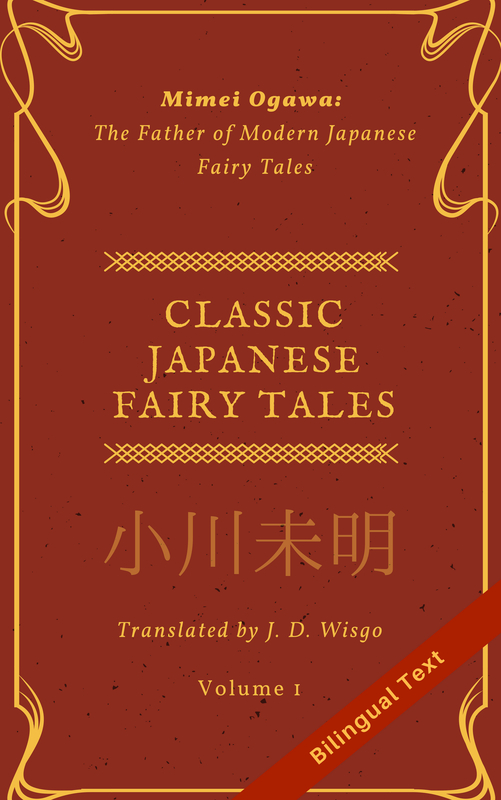 This project was special for me because it was the first E-book I translated and produced involving a modern author (my other books contain stories from many decades ago, for example this book about fairy tales). It is also notable because the original story has not been published yet in E-book (or paper) format, only online at kakuyomu, which I think is pretty rare. So I got to play the role of translator, publisher, and book agent. If you are interested in a unique type of modern Japanese science fiction that touches upon moral issues involving artificial intelligence and humanity, please consider checking out: “Two of Six”.